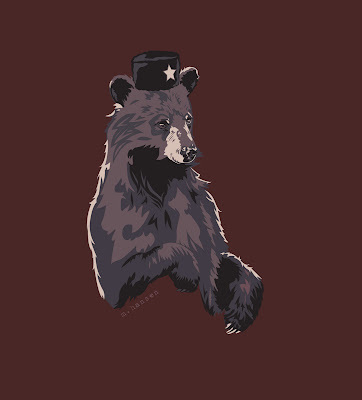 Wombat Revelry: BEAR SHIRT IN THE HOUSE! BEAR SHIRT IN THE HOUSE! EDIT: The official release date got pushed to Aug. 20. BUY BUY BUY! Hooray, dood! I'm super pumped! R and I will each get one for sure! I'll pass your link around that day, too. I think this drawing will look pretty ballin' on a tee. I'm so glad it worked out for you!